Creative Tots. An interactive playgroup for children and their caregivers. An hour of purposeful activities and fun! Ages / Times 2-5 year olds 10:30 - 11:30am Tuesdays in Tartesso Wednesdays in Ruth Fisher Learning through creative play. 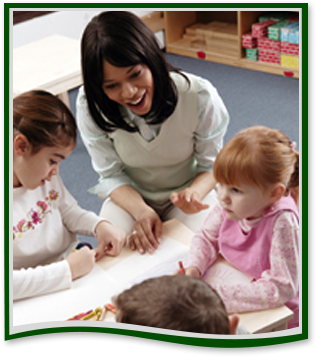 Our excellent preschool will prepare your child for academic success. We integrate character development to create a well-rounded young individual. Our safe, secure environment will provide you with peace of mind, knowing that your child is safe, happy, and growing every day! We invite you to contact us to discuss what makes the Ruth Fisher Preschool so special. An interactive playgroup for children and their caregivers. An hour of purposeful activities and fun!